Interested in climbing and looking to try something new? 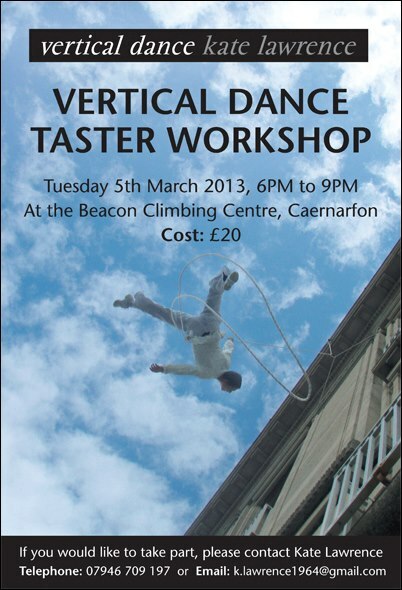 Why not check out the Vertical Dance Taster Workshop running at Beacon Climbing Centre on Tuesday 5th March from 6:00pm - 9:00pm? Vertical Dance uses climbing equipment to suspend the performer above the ground. During the workshop, participants will learn harness techniques particular to vertical dance and undertake technical exercises that focus on understanding the effect of the 'vertical floor' on the body so that they become more comfortable with a new spatial orientation.